For the past couple of weeks it’s been quite loud in the evenings. 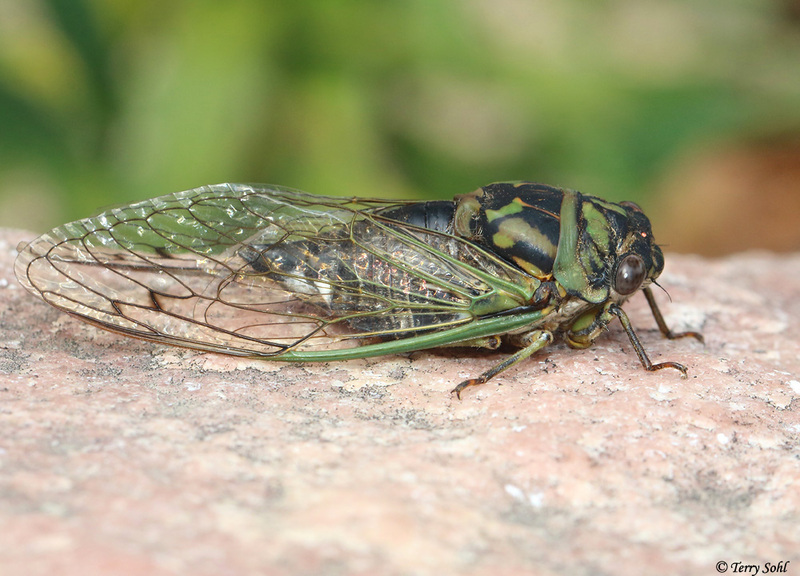 On occasion we get cicada noises here in the summer, but I don’t remember it being as “buzzy” outside as it has been lately. 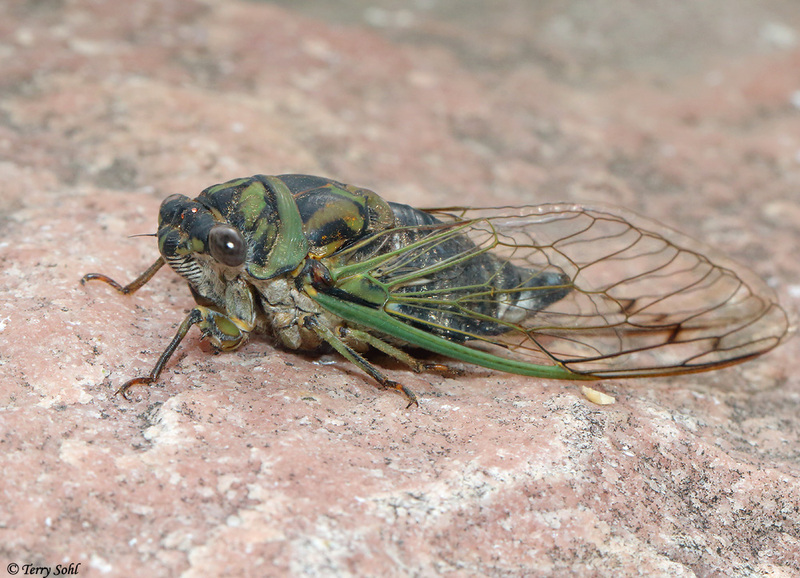 Despite hearing them, I don’t recall ever actually seeing a live cicada here. That changed this morning when I was outside doing yard work. Something flew past and when I turned, I saw it land on a big rock in our landscaping. 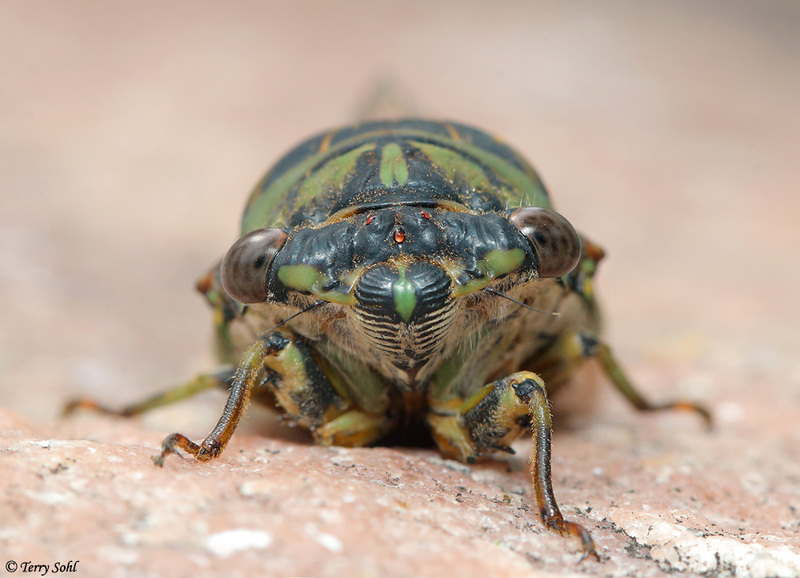 When I went to check it out, I saw the cicada, and quickly ran inside to grab my camera gear. 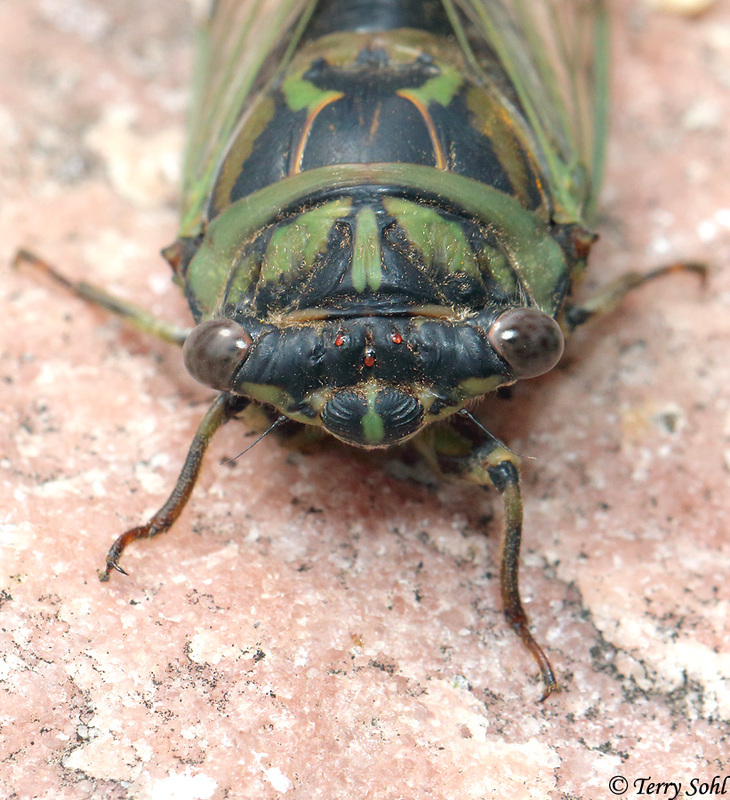 Given I’m always set up for birds, not littler critters, it took a second to get my macro lens and macro flash setup on my camera, but when I returned the cicada was thankfully still there. From what I’ve found online I believe this to possibly be a “Scissors Grinder Cicada” (Neotibicen pruinosus). If that is indeed the species, we’re at the far northwestern edge of their range, here in southeastern South Dakota. 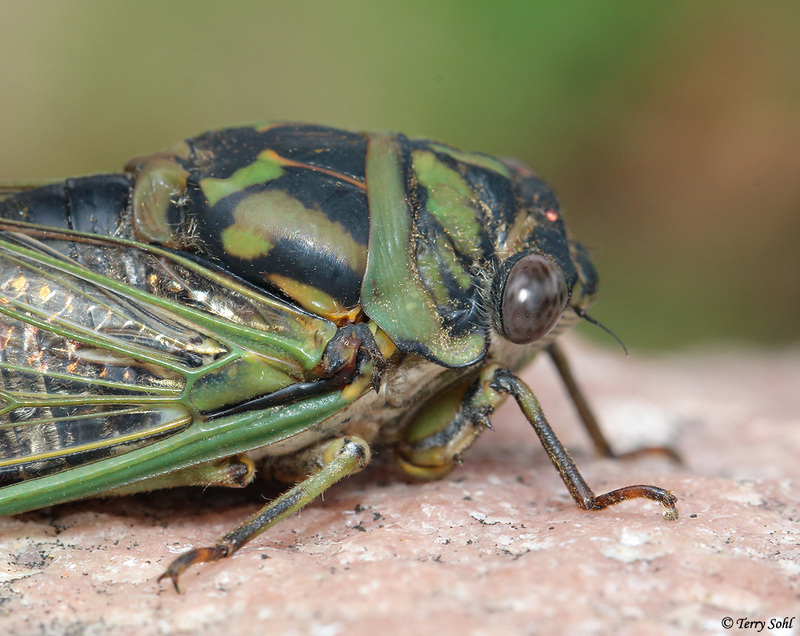 They are one of the “annual” cicadas, not the more famed 13- or 17-year cycle cicadas that periodically come out in the eastern United States. The name common name “Scissors Grinder” comes from the characteristic sound they make. Cool find, and very glad to get a ton of photos of this guy! After about 10 minutes on the rock, he disappeared. Previous Post: Your garage: A Hummingbird’s worst enemy?